Although trees are wonderful, at times they simply need to come down. Perhaps it’s a willow tree whose roots started attacking your water pipes or it’s an oak that’s preventing you from remodeling your home. Whether it’s size, location, or disease, you need to cut down trees in your yard. Tree removal is so tedious that you might not give much thought to the stump that remains behind. Oftentimes, individuals decide it isn’t worth the extra cost or effort and simply leave it there. Although stumps are nowhere near as hazardous as an unstable tree, it still brings considerable issues that deserve a removal. 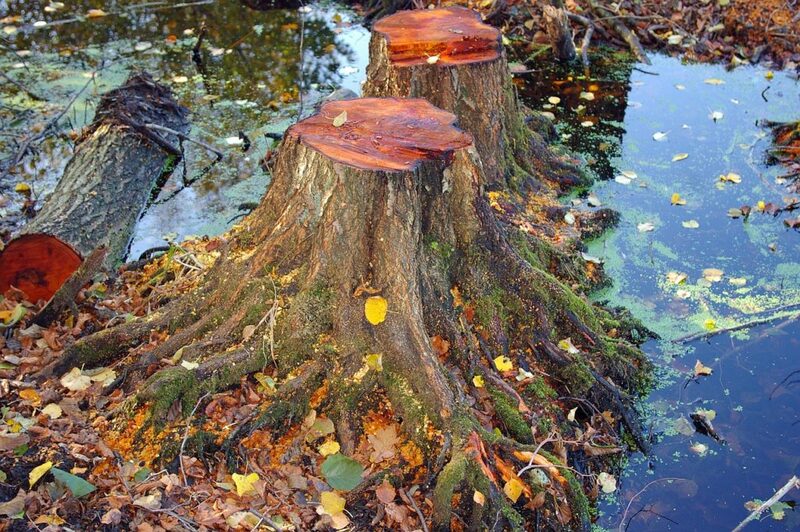 Here’s a list of reasons why you need Orlando tree removal company to eliminate that old stump. At times, leaving the stump behind leads to new sprouts and this could result in numerous small trees growing around the tree stump. This is unattractive to your landscaping and rather costly to try to eliminate since the new roots may keep returning and you may require chemicals to kill them completely. The small trees also leach nutrients from other plants situated near them. As the stump ages and turns to dead wood, it attracts pests-namely carpenter ants and termites. Carpenter ants burrow through your home’s wood to make nests, while termites typically feed on the wood. Of the two, termites are worse but both can cause permanent damage. In fact, Americans spend approximately $5 billion yearly on termite damages. If the tree was dead already when you cut it, there’s a high likelihood that the stump will attract termites. 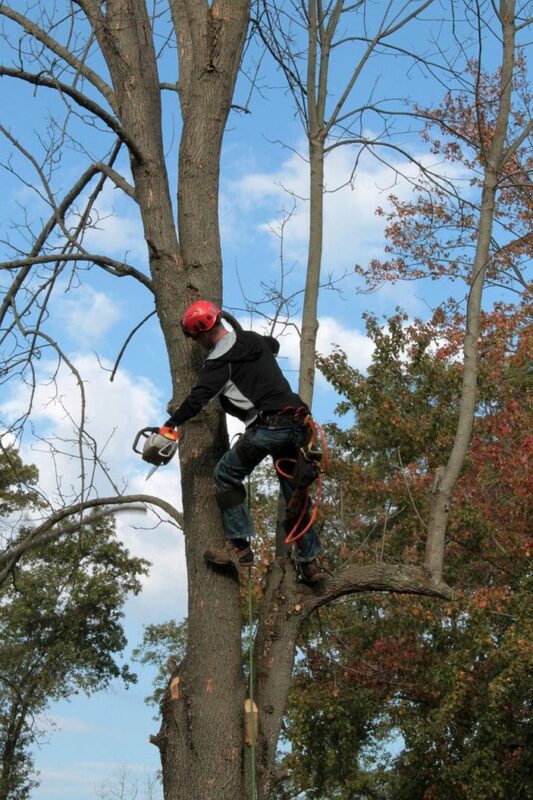 Stumps are hazardous to your kids, so it’s important you contact tree removal services Orlando. When playing and running in the yard, they might not see the stump and trip. In the event that a neighbor trips, you’ll be liable. Additionally, tree stumps can cause mower damage if you hit one accidentally when mowing your lawn. Aesthetically speaking, stumps are an eyesore. You’ll discover your yard looks unkempt if you don’t eliminate them. If you want a presentable-looking yard, you shouldn’t leave the stumps there. If the thought of removing the stump doesn’t appeal to you, you can do several things with it. You could make it your DIY project and convert it into a planter, bench, or a table if it’s big and high enough. Remember, tree stumps could also decrease your property value if left unattended. Stumps take up needless yard space. However, clearing up the issue and freeing up space can increase the usable space while increasing your home’s value. If your yard is small and you wish to transform it into a charming spot for bonding and relaxation, a stump in your yard needs elimination. Besides termites, if the tree was dead when you cut it, it’s likely that a disease was the cause. This could have occurred without you realizing because numerous diseases don’t reveal any external signs, making them undetectable to the naked eye. In the event that you cut a diseased tree, the stump still harbors the disease and this could spread to nearby trees. This is particularly possible if the trees nearby are of a similar species as the one you cut down. If you’re concerned about the health of your trees or simply want them to undergo a check-up, the arborists from Orlando tree removal will advise you accordingly. Hiring an expert ensures that you aren’t just getting somebody who can eliminate a tree stump physically but one with experience in the safe elimination of stumps without jeopardizing your property and life. Remember, the safe removal of stumps requires accurate cuts and guiding the grinder carefully. An arborist can give you professional advice on the best action course to take depending on your individual situations and they’ll inform you whether you have to obtain permission from your local council. Arborists are also knowledgeable when it comes to dealing with tricky circumstances such as gas lines and electrical wires that could become entangled in the machine. If a tree stump exists in your yard, it might be tempting to eliminate it yourself. However, you’ll discover it’s involving and requires expertise, knowledge, and skills. Even if you think you can perform a DIY removal, if you lack the necessary skills and equipment, things could go wrong. Therefore, you would rather leave this task to our professional company.